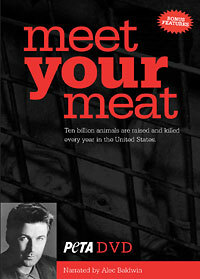 Bruce Friedrich is a seasoned activist having spent 15 years running campaigns for PETA, including overseeing the production of Meet Your Meat, a documentary that introduced many people to the horrors of factory farms and slaughterhouses. His masterminded creativity and fearlessness have gotten a lot of attention for the plight of our animal friends. I am thrilled to have had the opportunity to chat with him about how he's making a difference for animals–and how you can, too! Allison Rivers Samson: How did you come up with some of your most well-known campaigns? Bruce Friedrich: There is almost nothing at PETA that is the brainchild of one person. Just about everything starts as an idea that someone puts on an agenda, and then it’s discussed at one or more meetings and honed with input from many people, and then someone is assigned to the project. Although I don’t know for sure, “Meet Your Meat” almost surely came out of that sort of process, and Cem Akin and I saw it to fruition. The presentation—animal by animal, chronological through each species’ life—was probably a result of the fact that I think in a very linear way (from my German roots?). Anyway, I was running PETA’s veg campaigns at the time, and Cem was our farm animal researcher. So we picked the footage from among many hours of undercover footage and wrote the script, after reading various books and journal articles to ensure complete accuracy. We were delighted to have video supplied by Mercy for Animals, the Humane Society of the United States, and Compassion Over Killing. One of the things I love about the animal movement is how well all the groups work together and focus on what’s best for animals, rather than being proprietary about images and video and so on. ARS: I also appreciate the community of cooperation in our vegan movement. 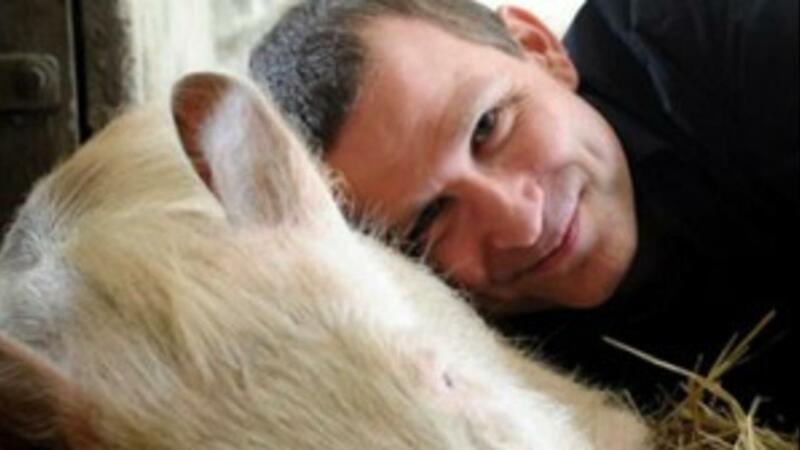 In 2011, you became the Director of Advocacy and Policy at Farm Sanctuary. What do your days consist of with this current role? BF: There is no typical day, though I have been working to implement the concept of not checking email in the morning, as a productivity-enhancing technique. I’m a huge fan of David Allen’s Getting Things Done time management techniques. Anyone who feels like there is not enough time in the day should make the time to read this book and implement its principles. If you think you’re too busy to read it, then you’re too busy not to read it. I work on a wide array of projects, including various offensive and defensive legislation at the state level, quite a few litigation projects, legal petitions to the USDA focused on poultry and mammal slaughter, and an effort to force the USDA to stop all-but-ignoring the Humane Slaughter Act. That last one is called “The Glass Walls Project,” and it’s a joint endeavor of the Animal Welfare Institute, Lewis & Clark Law School’s animal legal clinic, and Farm Sanctuary. We have been able to generate quite a bit of press interest in what happens to animals on slaughterhouses, which is obviously a very good thing. I also oversee The Someone Project, which is a science-based educational campaign focused on farm animal behavior, emotion, and cognition. We scored a very big hit when Nicholas Kristof devoted his Sunday New York Times column to chicken intelligence a few months back. We also just worked with a fish ethologist in Australia to publish a peer reviewed paper on fish in the prestigious journal, Animal Cognition, and it was covered by two of the three largest English-speaking papers in the world. So we have spent very little, and yet we’ve generated hundreds of thousands of dollars in earned media. We are thrilled to have Dr. Lori Marino as our lead scientist on the project, and to be working with her Kimmela Center for Animal Advocacy on it. I also write a lot of letters and op-eds because with one letter or op-ed in a major news outlet, one can reach tens or even hundreds of thousands of people with who animals are and how they’re treated by the meat industry. Anyone reading this who is not yet signed up for DawnWatch should stop reading and sign up! ARS: Wow, that's a lot! I'm grateful for your tip on "Getting Things Done" too, now I know how you do just that. How did the "Someone, Not Something" project come about, and why is it important to Farm Sanctuary's mission? BF: I proposed it at a Farm Sanctuary board meeting in 2010, and a year later, I was brought on board with a plan to launch it. Ever since I heard Cameron Diaz tell Jay Leno that she wouldn’t eat a pig because scientists had found that pigs have cognitive abilities beyond those of three-year-old human children—and so eating a pig would be like eating her niece—I’ve been intrigued by the disconnect most Americans experience between the animals we eat and the animals we welcome into our homes and families. Gene [Bauer, president and co-founder of Farm Sanctuary] is fond of saying that “at Farm Sanctuary, the animals are our friends, and we don’t eat our friends.” I like that concept a lot—it’s simple, and it captures what we’re trying to do: to help everyone see farm animals as “someones” who we should not be exploiting for food. ARS: Agreed! What is one of your favorite rescue stories from someone who is now living at one of the three Farm Sanctuary locations? How do you see these stories being a means of educating and influencing others to become vegan? BF: Isn’t that a bit like asking someone who their favorite child is, or for my wife and me, asking which of our cats is our favorite? They are ALL my favorite stories, and they all represent the difference between misery and a happy life for the animals involved. If anyone has not been to a Hoe Down to hear Susie Coston talk about the animals who have been rescued in the previous year, you need to add it to your “To Do” list for 2015; it is an awe-inspiring and transformative experience. As Susie captures so beautifully, every animal is unique, and every single one has a compelling story. That said, I love our “Animal Tales” project, which our education department oversees, and which involves asking celebrities to narrate our animals’ stories. So far, we’ve got Symphony, The Doctor, and Sonny up and available for people now. This allows us to reach the public with the animals’ stories, which is critically important. As people begin to understand that farm animals are unique individuals, just like dogs and cats, they will be more likely to see them as friends, and less likely to see them as food. ARS: You often talk about encouraging people to align their beliefs and actions. This makes a lot of sense since most people don't want to see animals being abused, yet support it through purchasing power. How do we get people moving toward the path of realizing this dissonance and taking accordant action? BF: That’s not a short answer question, of course. I suppose the most important thing is to devote time to it. I’m a big fan of leafleting, especially on college campuses, of writing letters to the editor and op-eds for our local papers, and of speaking up at every opportunity, in a positive and inviting way. People should be sure to cultivate opportunities through no-effort endeavors like bumper stickers on laptops (while we work at a coffee shop), wearing T-shirts, and so on. I talk about some of this in a talk I gave at the Hoe Down a few years back. ARS: Great tips! What advice would you give young animal advocates looking to become more effective? How could the animal rights movement as a whole be more effective? BF: I would start by reading Nick Cooney’s first book, Change of Heart, and Matt Ball’s and my book, The Animal Activist’s Handbook. Both books discuss things activists do wrong, especially when they’re new, and how we can change the world as efficiently and effectively as possible. Nothing is more important to animals than our being as effective as possible, and in these two books, we talk about tried and true techniques for both success and failure. And if you go to bed wishing for 36 hours in the day, the next book you read should be Getting Things Done (before Nick’s or my book). 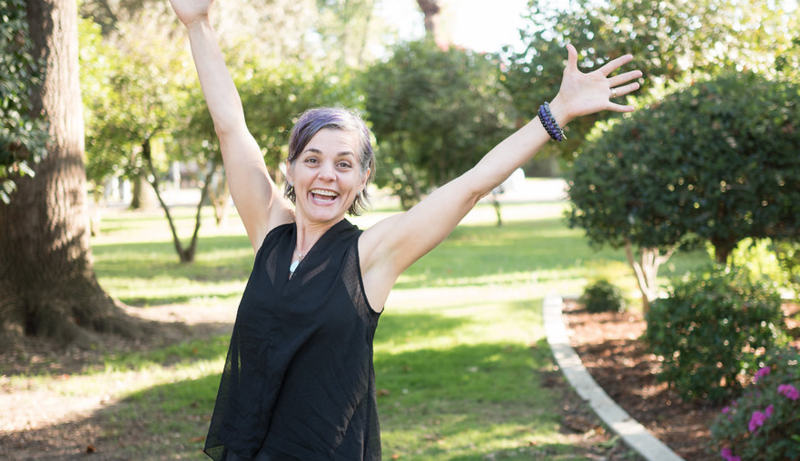 ARS: On your and Dr Greger's recommendations, I recently read Getting Things Done and am so glad I did. Thank you! Do you have a favorite Allison's Gourmet goodie or one you would most like to try? BF: This isn’t quite as difficult as “which of your cats is your favorite?,” but it’s still tough. You clearly go to great lengths to ensure that all of your offerings are totally amazing. I suppose, being a simple person, I’ll go with the classic walnut brownie; why mess with perfection? I understand what you mean, Bruce! Thanks for taking the time to chat with me and providing such inspiring food for thought and tips for taking action now.